Thinking about lifting or leveling your truck? Maybe you just want to improve the ride quality of that SUV sitting in the driveway. Well, you're in luck because Skyjacker Hydro 7000 shocks are the perfect answer for your ride. Skyjacker 7000 shocks feature a hydraulic action which assists your springs or struts when encountering rough terrain or bouncing down the highway. Hydro shocks aren't pressurized like Nitro or M95 shocks, but they'll certainly get the job done, and keep you under budget too. This means a more comfortable ride for you and family. Hydro 7000 shocks also feature multi-stage velocity sensitive valving, as well as twin tube construction with an over-size piston head. 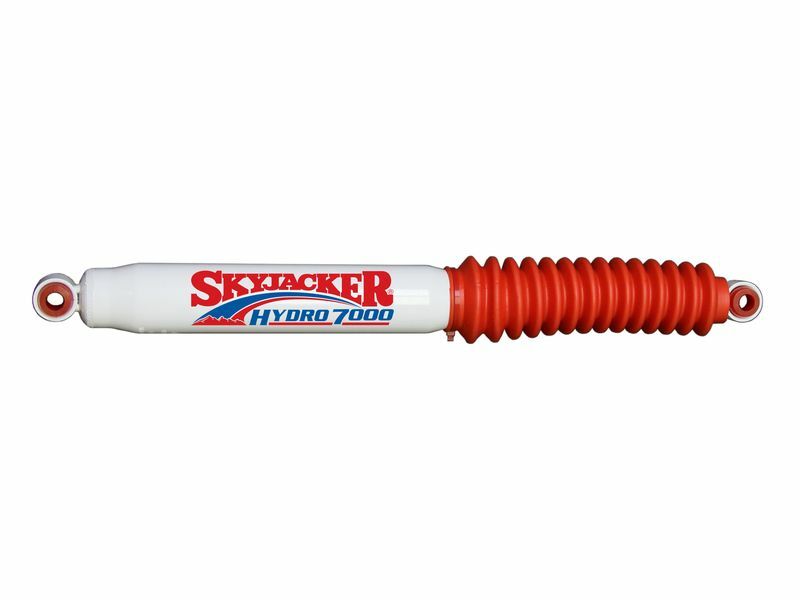 Skyjacker Hydro 7000 shocks come with the patented Skyjacker red boot, and are backed by a lifetime warranty, so you can be confident that your new shocks are with you for the long haul. Skyjacker Hydro 7000 shocks offer an easy installation that can be done right in your garage. Each order comes with all the necessary hardware, and the installation instructions. If you have any questions, please give us a call at 877-216-5446.